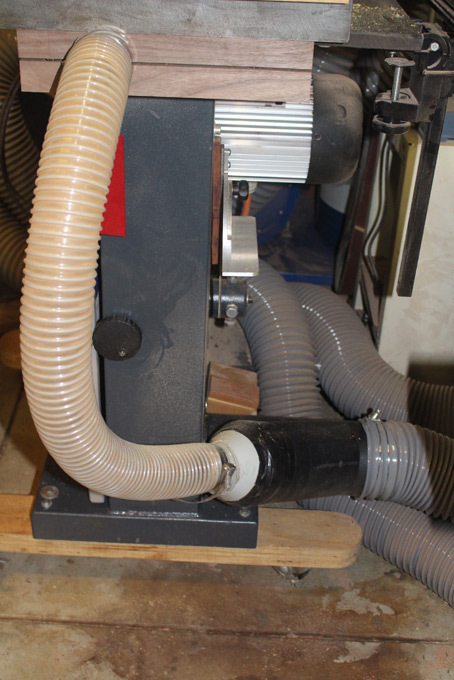 I have struggled with dust collection to my bandsaw, a Hammer N4400. The outlet is a 120mm (close to 5") port that is linked by 5" hose 2 hp dust collector via a Super Dust Deputy cyclone. The DC is the next planned upgrade, but it does a decent job of sucking dust (but more power and suction would not go amiss). 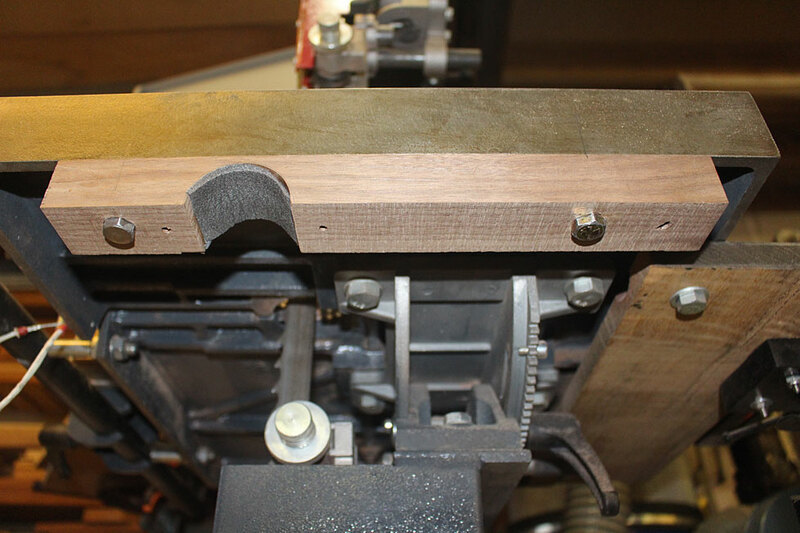 My plan was to add a hose near the source of the bandsaw dust, that is, where the cutting takes place at the blade. Not sure how to attach the hose, I did a little research ... and came across a video on YouTube by Rob Cosman. I am not sure if the idea is his, or whether he borrowed it (I did come across another that was made several years ago). Suction in this case would be via a Festool CT26E. Just a bit of 2" PVC tubing, with an end cap (I planned to lock the end to the bandsaw with a spacer, but this was unnecessary). 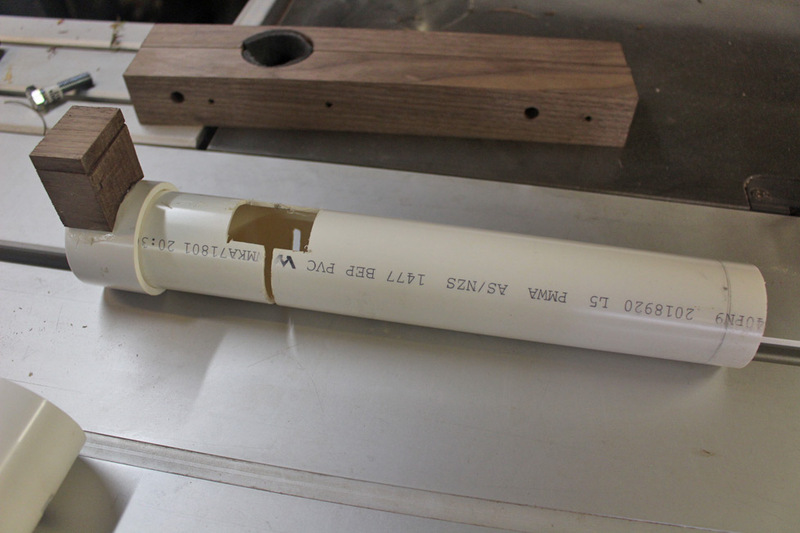 The tube is sawn half way for the blade (in this case, a 1" Lennox) and opened up a the top (for sawdust). This is half the holder attached (with bolts) .. This is the other half of the holder, with recesses for the bolt heads. Obviously, the pieces are screwed together. So, the question is does it work? 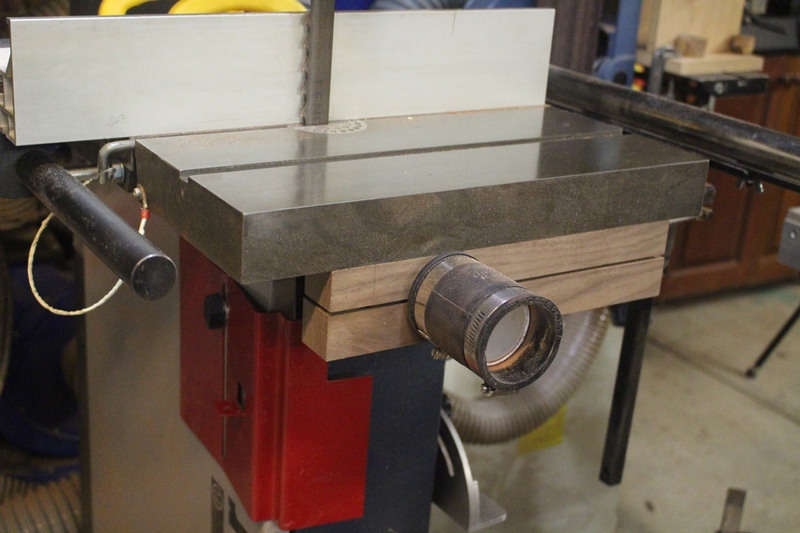 Depending on the construction of your bandsaw, this segmented drill press dust collection accessory can be installed under the bandsaw table so the opening is right under the throat plate in the table and connected via a Y connection to the main port on the bandsaw. See pictures. 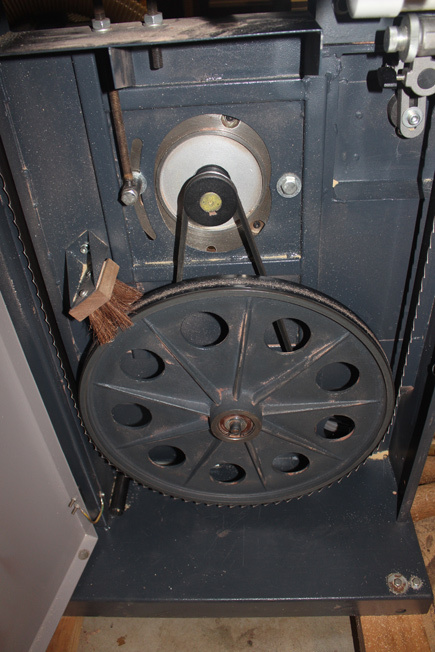 Any saw which has a main collection port located down low generally results in inefficient dust collection. The addition of a second port under the throat plate increased the efficiency of dust collection on my Rikon to in the 90% range, depending on what I'm cutting (very little escapes). both posts are a helpful inspiration for anyone tired of dealing with the output of their "Sawdust Production and Distribution Machine" - aka the Band saw. 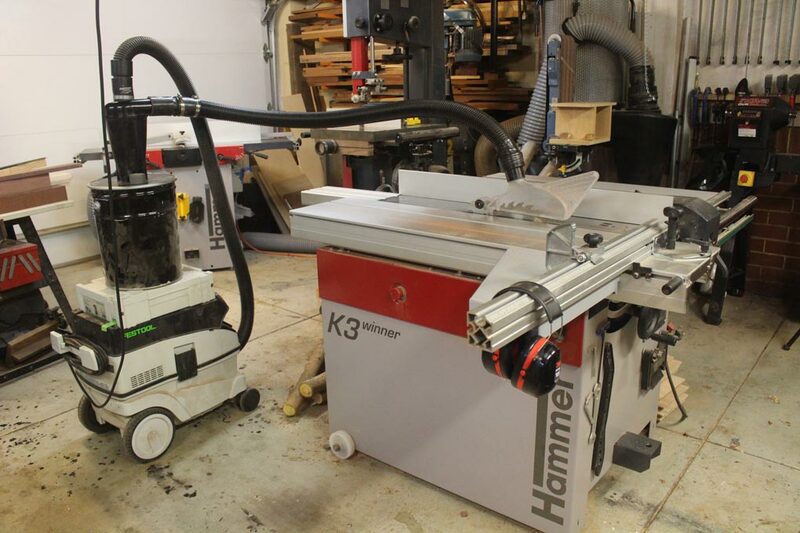 The absence of a market leading band saw configuration adopted by major players in this category has kept us from developing a marketable solution. 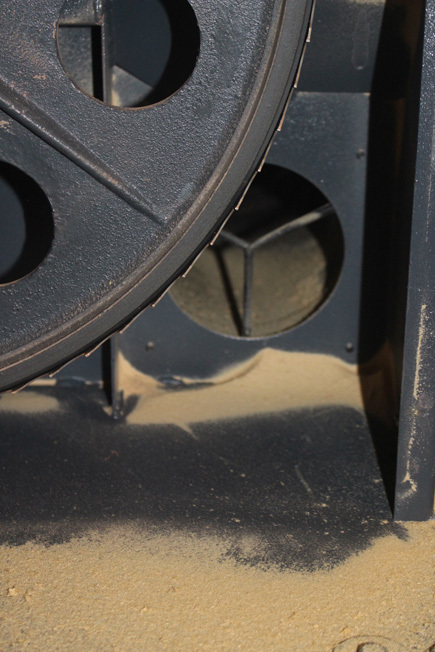 Interesting how little attention is being paid by the major band saw players to really designing for dust collection. They all seem to think customers would be unwilling to pay for it and they're afraid to raise the price to put their product out of the "price point". Catch- 22. Let's see which band saw brand decides to introduce an effective integrated dust source collection method. 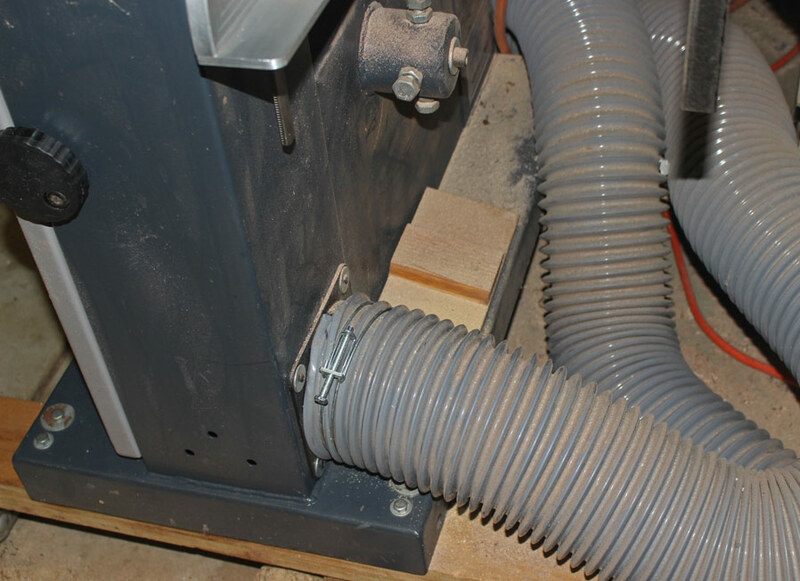 When it comes to table saw dust collection, I have yet to come across a system (for cabinet saws) that is as effective as the SawStop's blade guard and overarm dust collection. My set-up has been exceeding the vendor-claimed 99% efficiency constantly (except for edge cuts). 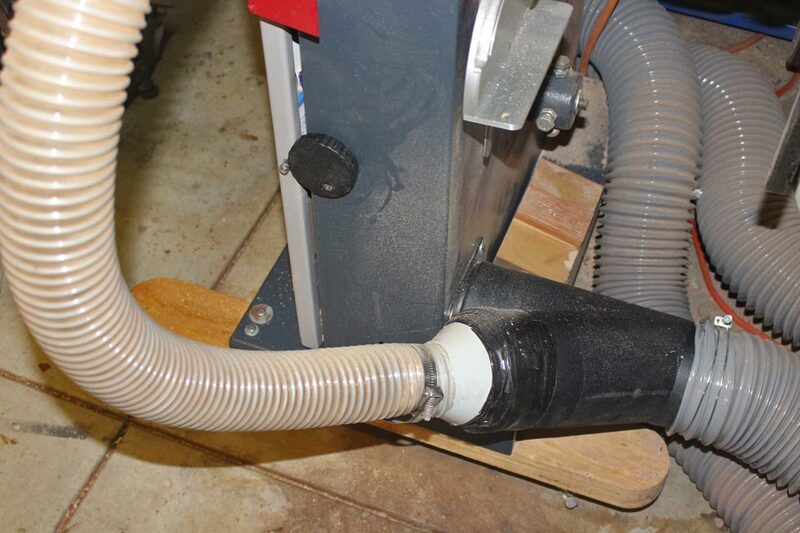 For the bandsaw, I have one similar to grbmds, using the dust port from a drill press table (http://www.leevalley.com/en/wood/page.aspx?p=63315&cat=1,240,41060) as a secondary dust collection. @ChuckM - yes, and look where the improvement came from: - not the "leading brands" but a newcomer to the category. 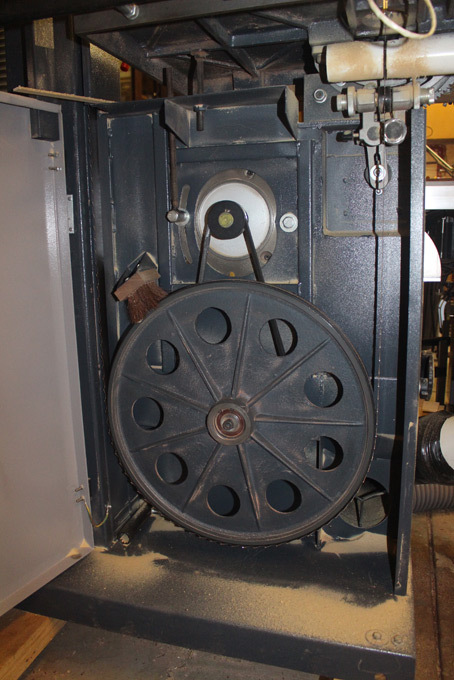 Let's hope a newcomer will modernize the band saw like SawStop did for table saws..
My bandsaw dust collection is exactly like grbmds'. I have a lot of the the Loc Line segments and tools in various diameters. They are great for spot air flow, cutting fluids and dust collection. When my granddaughter was born I had my hip replaced right before my daughter returned to work. I connected various sizes and combinations of the Loc Line segments to make a mobile with lots of different ends. Later I disconnected the apparatus and it returned to my shop. 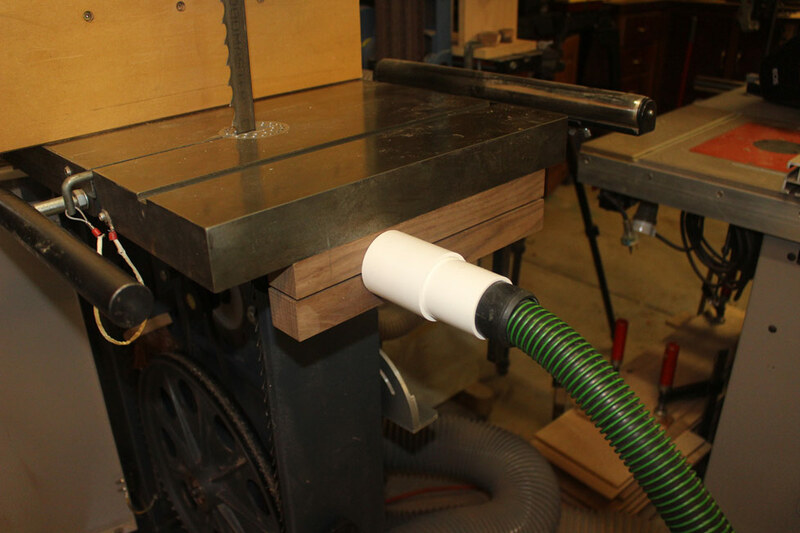 Overarm dust collection existed for table saws long before SawStop was even dreamt of. It was never popular though. Penn State, Excalibur, Grizzly and I think even Delta had one at one time years ago maybe under the Biesmeyer brand. There are others. But none of them worked very well or were too clumsy so people did without them. 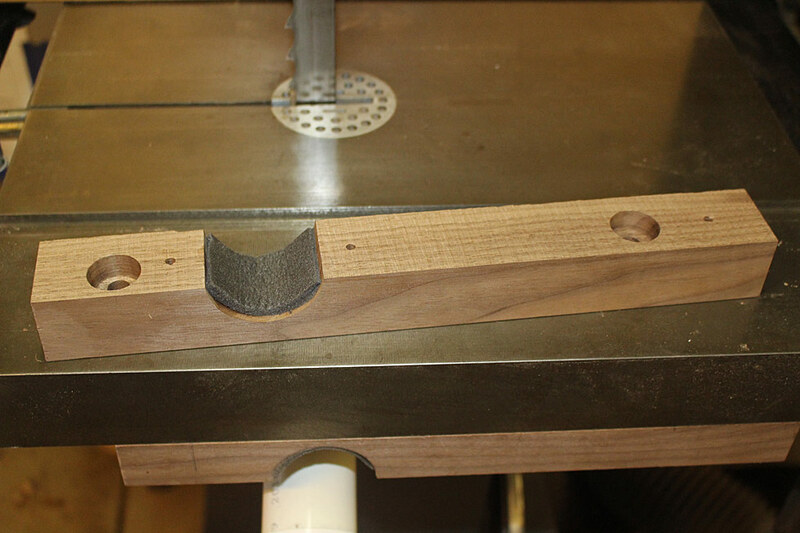 I like the SawStop design, and have been noodling how to adapt it to my Unisaw. 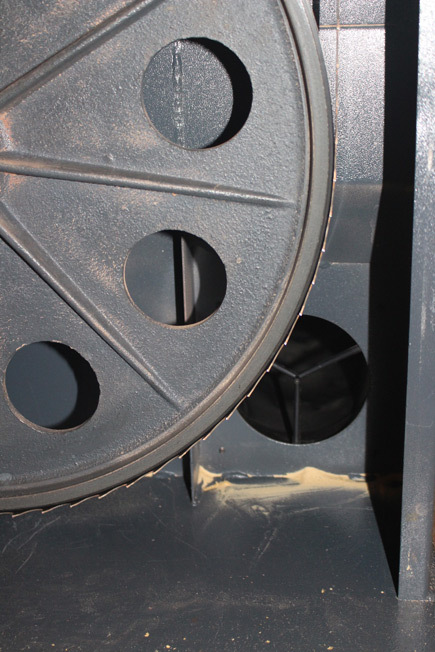 Many table saws seen in the EU have a dust shroud over the blade, but what separates the SawStop dust collection blade guard from all other shrouds is the shell extension in the blade guard on each side. 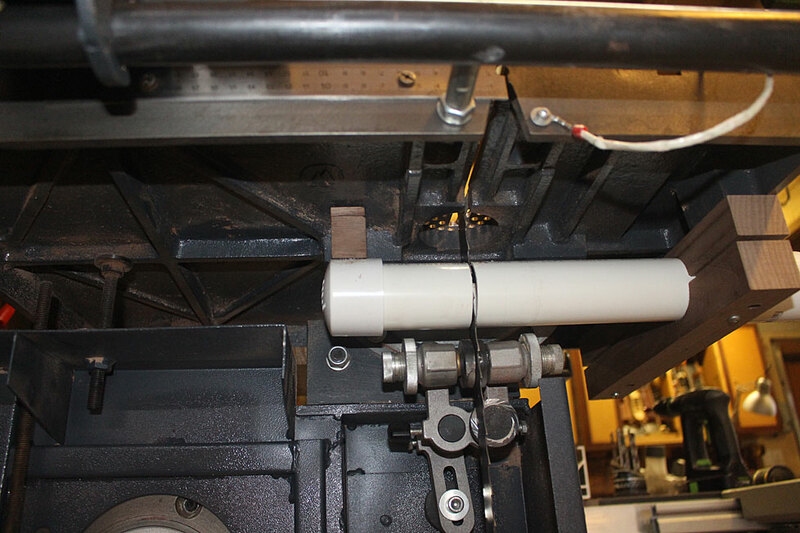 Those extensions maintain contact with the stock being cut, minimizing the loss of overhead suction. You're right about those clumsy Excalibur types of chutes, and so I was pretty surprised that SawStop has reintroduced that kind of overhead system for its lines. dc on any band saw i have seen is a joke. on my record power one they put a thick plate of steel under the bearings with a slot for the blade. 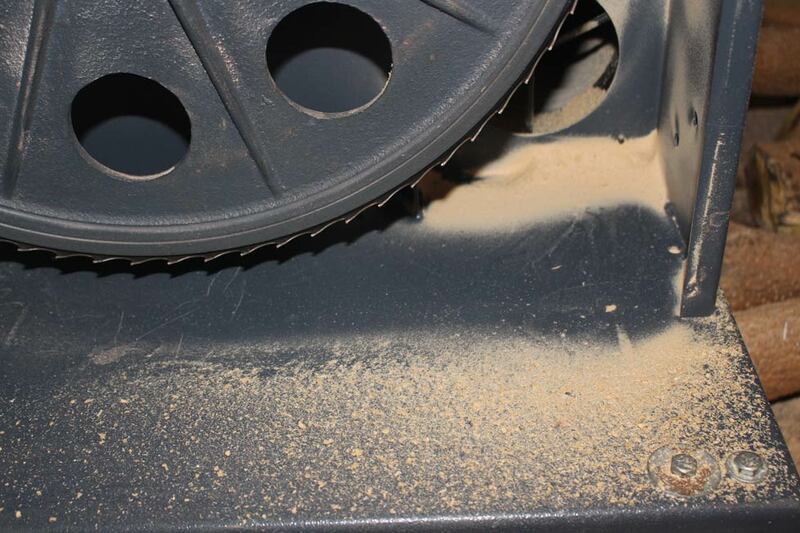 all the dust builds up on the plate and around the bearings. if that wasnt put in there all the dust would fall down into the dc port right below it. I vote for Laguna 14/Twelve. When I was growing up on my uncle's farm, I learned early on that "there is more than one way to skin a cat," as my uncle was teaching me. Thank you Derek Cohen for starting this thread and thank you to all who followed with their own versions of BS dust collection. I happen to have an old Band Saw that has no port for dust collection. 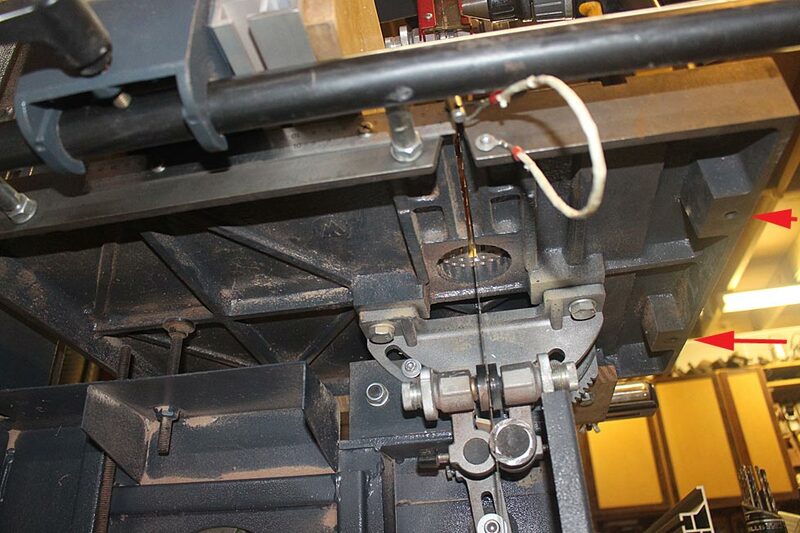 I have used a magnetic fitting that I set directly under the blade guides that I would say collects 50% of the dust. I have an air cleaner that I turn on before starting my BS and don't turn off until I am ready to move out of my shop. That collects maybe 50% of the airborne dust which still leaves some dust to get into the air ducts of the house heating system. I will look into all of the methods shown in this thread and see what I can do to improve my own system. Bottom line: I think that the little dust in the corner is a dead spot for cleaning. The system is working so much better than ever before, and now it only needs one switch at the DC to get it going. Thanks for the pics and great ideas. I wish tool makers would incorporate these ideas from the start as Festool does. I would prefer to pay a little more for upgrades such as these.